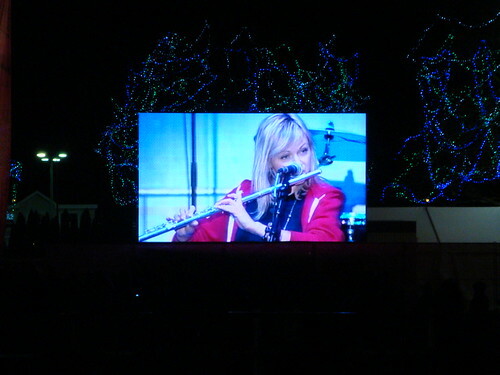 As the world may be aware, the Olympics began with the Opening Ceremony on Friday. I have my favourite and not-so-favourite parts to the ceremony. Whoever had the bright idea to change up the national anthem is an idiot. 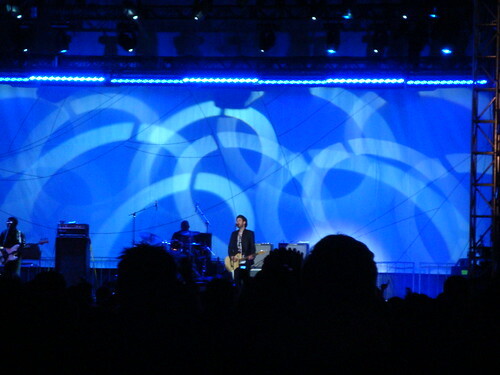 But for the rest of it, it was great (uhh, wait, except for that segment with the prairies and blue horses… I dvr’d and fast forwarded that entire segment after the first two minutes). 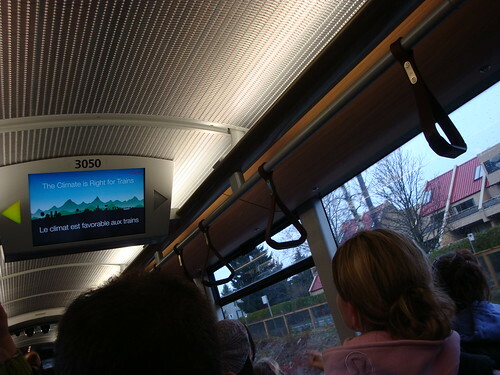 Yesterday, I went out for lunch with the relatives (visiting from the States – they had tickets for a few events! ; and my aunt, uncle, cousin and two of my cousin’s kids). We chatted and my aunt ordered too much food. I swear, every time she thinks that her grandkids will actually eat something but all they insisted on eating was plain white rice (and they asked for a bowl of soy sauce to pour onto their rice, bleh) and barbecue pork (which the restaurant did not have because their menu was more traditional). Needless to say, lunch was expensive (I should know, I paid for it.). Then it was off to some celebrations and checking out some the pavilions. 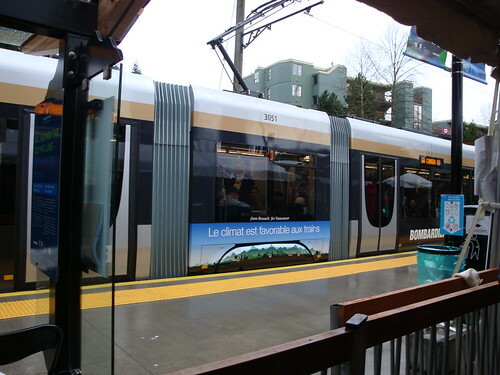 First stop was the Bombardier Streetcars (borrowed from Brussels, Belgium). 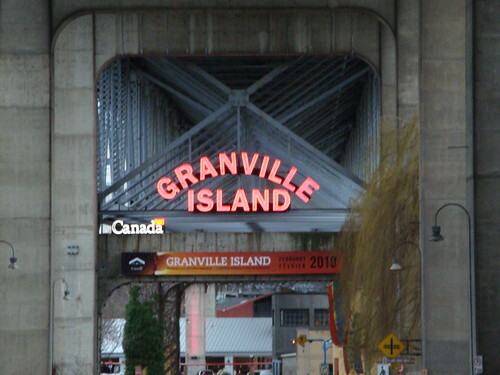 It links the Olympic Village stop (on the Canada Line) to Granville Island. They upgraded the existing (but not in use) streetcar tracks for the games (and spent an absurd amount of money while doing it…). 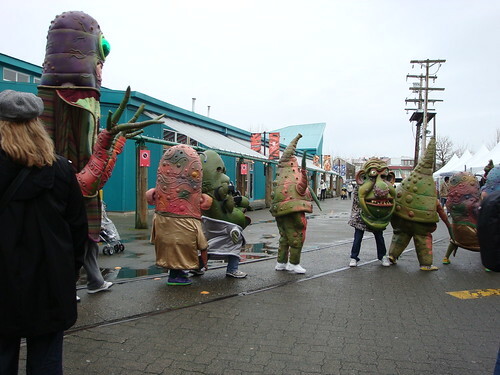 We saw monsters (!!!) 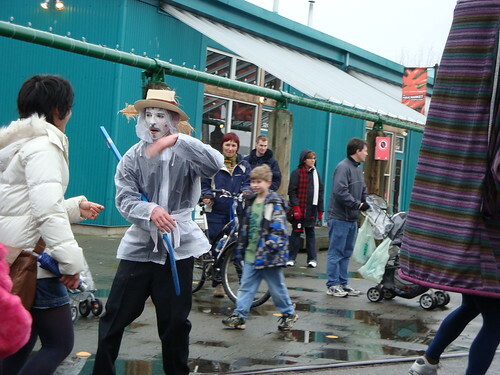 and mimes while roaming around Granville Island. 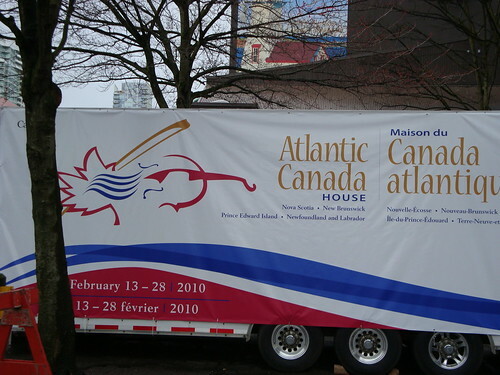 Then there was the Atlantic Canada House. 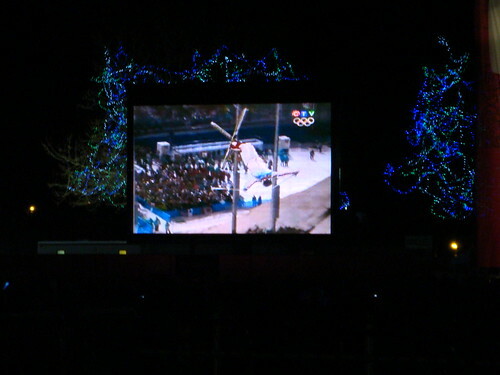 While they were open to the public, for a small portion of it, the rest of the area was roped off for a private function involving athletes from Atlantic Canada (Nova Scotia, New Brunswick, Newfoundland and Labrador & Prince Edward Island). 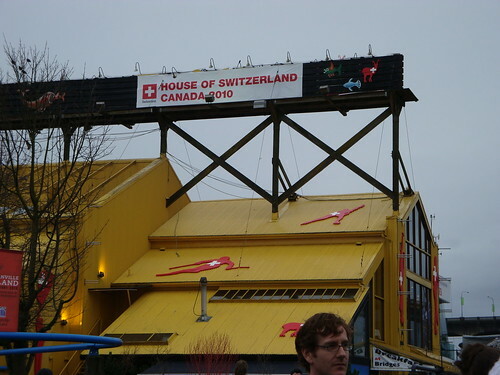 House of Switzerland (located in a restaurant) was by far the biggest disappointment though. 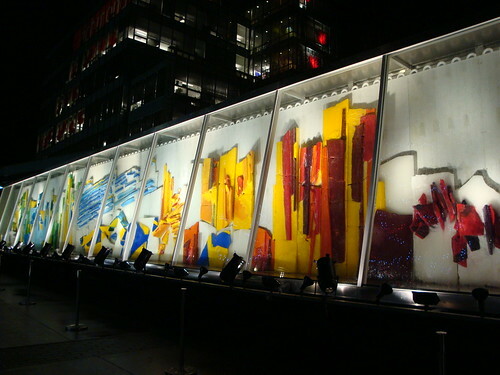 They where decorated on the outside of the building and on the inside, but the restaurant was still running (business as usual) and according to a woman who worked there, they were only having exhibitions to showcase Swiss culture on a few select days. But they are open for patrons, if you want to eat there (only a few Swiss dishes added to the menu though). 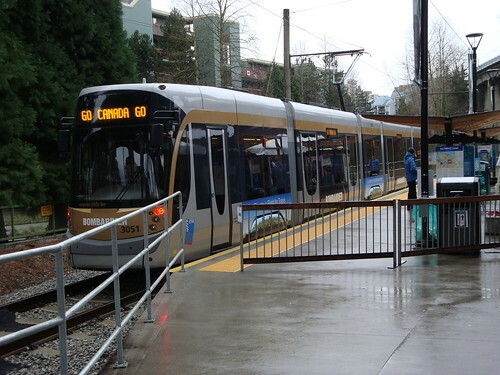 Then there was the Richmond Ozone, located a short walk from Brighouse Station (on the Canada Line). There was a lot to see there – I didn’t see nearly everything that there was to see while I was there. There was some gorgeous displays of ice, lanterns, ice wine tasting (yum) and then I got wanded (I left my cell phone in my pocket by accident and it set off the alarm, whoops) and patted down while going through security to go towards the main stage area to watch Hey Ocean and Bedouin Soundclash. 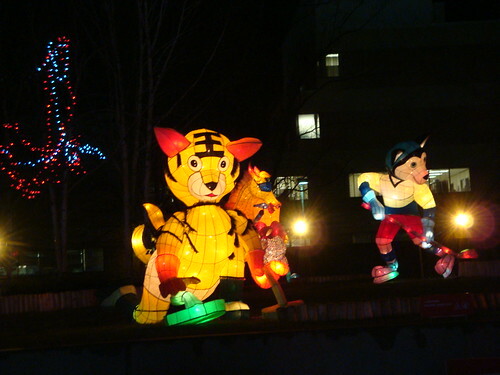 The wolf is playing hockey while the tiger is curling.